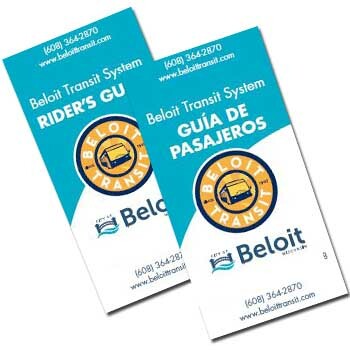 Beloit Transit Service is proud to continue the 112 year legacy of providing safe and affordable public transit in Beloit. Our new website was designed to make it easy to find the information you need to get from one place to another! You’ll find new, interactive maps and a trip planning tool using Google Maps. Note: You will be leaving this site to plan your trip on Google Maps.